Oil prices briefly fell under $60 a barrel on Thursday after nearly two weeks of uninterrupted declines, as traders and investors acknowledged that a global economic recovery would take longer than hoped. At the end of a volatile trading session, crude oil futures pared their losses, settling at $60.41 a barrel, up 27 cents, after falling as low as $59.25 a barrel during the day in New York. The price of oil has fallen by about $10 a barrel in the last six trading days, or nearly 17 percent. Oil rose to $72.68 a barrel in June, its highest trading close this year on optimism about a fast recovery. 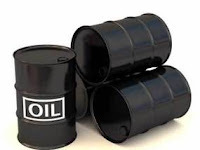 Thursday’s session followed the release of a weekly report from the Energy Department showing a substantial increase in gasoline inventories in the United States, with total oil inventories reaching their highest level since 1990. The report, widely viewed as bearish for oil markets, also signaled weaker-than-expected consumption. “The bottom line is that it’s all about demand and the lesson here is that the recovery is going to be a long and bumpy road, and not a smooth and straight line,” said Michael Wittner, the global head of oil research at Société Générale, in London. He expects prices could fall as low as $50 a barrel in the short term. Oil prices have shown striking volatility in recent years, as energy markets attracted investors like hedge funds and pension funds. Strong demand for oil, coupled with weak growth in supplies over the last decade, propelled oil to a record of $145.29 a barrel last year. The price bubble burst when the global economy plunged into a recession and industrial activity worldwide slowed sharply last year. That shaved the global demand for oil and pushed prices down to a low of $33 a barrel in December. But in their latest display of volatility, oil prices have rebounded this year, more than doubling since their year-end lows as many investors bet on a quick recovery. Commodities are also seen as an attractive way to hedge against a weakening dollar and potentially higher inflation. The economic outlook remains murky at best. This week, the International Monetary Fund said the global economy would shrink 1.4 percent this year, a bigger decline than its April forecast of 1.3 percent. At the same time, the monetary fund also predicted stronger growth than it had initially forecast for 2010. The recent volatility in commodity markets is also having political ramifications. On Tuesday, the Commodity Futures Trading Commission, the top federal commodity regulator, said it was considering clamping down on speculation in energy markets. The move would be politically popular, especially as gasoline prices have risen to an average of $2.58 a gallon. But some energy experts warned that such a move could backfire by making energy markets less liquid, and therefore even more volatile. In the meantime, even as demand remains weak, many analysts do not expect oil prices to fall substantially. One reason is the strong discipline shown by producers within the Organization of the Petroleum Exporting Countries. OPEC, which has set a target price of around $75 a barrel, has managed to reduce production in recent months to match the drop in demand. The secretary general of OPEC, Abdullah al-Badri, told reporters on Wednesday that oil prices were at a “comfortable” level, though still lower than the target set by the group last May. Oil consumption is expected to fall this year, for the second year in a row. PFC Energy, a consulting firm, expects a drop to 1.1 million barrels a day in oil demand this year, followed by a modest recovery in 2010 led by developing nations. But the analysts caution that the growth in demand is unlikely to return to the annual average levels seen in 2003-7, of 1.6 million barrels a day. Disclosure: Author does not own any of the stocks discussed here.